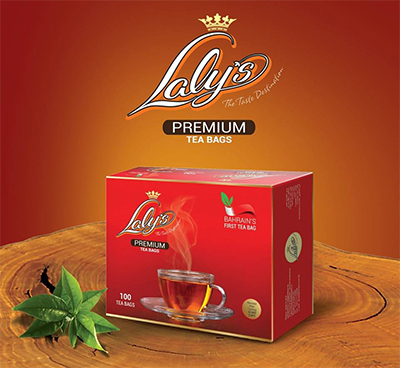 Laly's is the premium standard in tea bags. It is the first tea bag produced in Kingdom Of Bahrain with the finest teas from selected tea gardens and blended to perfection. It is a strong tea with a rich taste and flavor. Each tea bag is made of specially crafted paper, with a thermal sealing instead of staples. The thermal sealing maintains and provides superior flavor it also protects its consumer and environment from any harm caused by the use of staples. We ensure the strength and flavor of conventionally brewed tea in each tea bag of Laly's.